I grew up in a Baptist church. There were a lot of good-hearted people there. I’m still in touch with some of them. But at 14, I began to smell, in that community, a certain stench. It wasn’t the hairspray of the church ladies who sat in the pew in front of me — although that was a poison as suffocating as the fallout of nuclear explosions. No, it had to do with a fear of those in the world around us who believed differently than we did, who laughed at our faith and our Gospel and our traditions. And that fear manifested itself in seeing cults and conspiracies everywhere; in condemning artists whose love for mystery was, we presumed, actually a reckless opening of their souls to the devil; and in a ravenous appetite for money and for political influence. I remember several Sundays in which a banner was draped across the front of the sanctuary, and each week it announced a dollar amount that congregants had given in a church fundraising campaign. It wasn’t celebrating the generosity of God’s people toward serving the poor. It was a campaign for a larger building on the church property for offices and activity rooms. And it made me uncomfortable — to raise my eyes from prayer and see dollar signs. I also remember feeling uncomfortable during sermons that prioritized judgment over grace, that ranted against the evils of pop culture and “liberalism.” There was more said about the evils of “culture” than was said in observant interpretation of the Scriptures. I learned that the Bible was something you sifted to find individual lines that would back up opinions you already held, not something to study to understand what it meant in its context and history. In my church and the others that I visited — all Protestant Evangelical churches (Catholics and Episcopalians were not to be trusted; they were too mysterious and sensual in their inclinations) — the arts were primarily discussed in terms of their corrupting influence. I bought into this for a while. I remember how I, during the turmoil of my teens, stood up in church to rant against the evils of rock music that my friends enjoyed. I was haunted by missionaries who had visited our church to tell us that the drumbeats of rock music originated from demonic practices in Africa, and that the very sound of them could inspire demonic influence in me. Wanting and enjoying the pats on the back and the approval of my community, I was ready to go to extremes. It felt good to rant against imaginary enemies. I lived in fear. An exhilarating, self-righteous fear. Meanwhile, the arts within the church, when they were acknowledged at all, were characterized by mediocrity and a sort of sentimentality that exalted a white, middle-class, European heritage — you know the paintings I’m talking about — and not the kind of awe-inspiring and discomforting beauty that distinguishes great and timeless art. I began to succumb to the gravity of beauty over didacticism, of mystery over zealotry. I came to favor exploring questions over preaching answers. And in time, the affirmations of God’s glory that I found in the arts — which spoke to me so much more powerfully than culture-slamming sermons — made an arts critic out of me. Instead of keeping diaries, I wrote reviews (mostly for myself) in which I recounted glimpses of Jesus’ teachings in the creativity that stimulated my imagination. I wrote for that audience of one because writing was a more focused way of thinking; it was better than just reacting. This strengthened my faith. I wanted to highlight how the teachings of Jesus were alive in the music, the stories, the poetry, and the movies that attracted and inspired people. God’s glory, I found, is alive and well beyond the walls of the church — in culture and in nature. And I heard Jesus observing the same thing in his own sermons and stories. I wanted the Gospel more than ever: a wild, liberating experience of love and grace and reconciliation. Not an angry subculture. Not a resentful congregation, maneuvering for political influence in order to legislate morality, advancing agendas that would make sure “they” were properly punished for their immorality. (Apparently God’s promises of justice were not fast enough or severe enough.) I saw that they would rather condemn the poor in our neighborhood for their “dirty” language, and drive them out of the neighborhood, than listen to what such desperate language was actually about: suffering, frustration, longing, and need. It does not surprise me, but it breaks my heart, to see how so much of what is called “the Church,” and how many who call themselves “evangelicals,” are throwing out all they ever said about “character” in their raging sermons. For so many years they spewed wrath against, for example, Bill Clinton for his sexual infidelity. They lamented the sinful lifestyles of celebrities. But now, they pledge allegiance to a compulsive liar; a boastful misogynist; one who brags about sexual assault and then refuses to repent when exposed; a man who wants a return to the days when African Americans who protested “were shot”; who wants to deport millions of immigrants; a cartoonish extremist for the cause of egomania and greed. What happened? Why the collapse of those non-negotiable standards and convictions? Because he bought them. He bought them with promises of political influence. He smelled their gullibility, and he pounced. Does anyone think that those who are skeptical about the integrity of the church are blind to this? 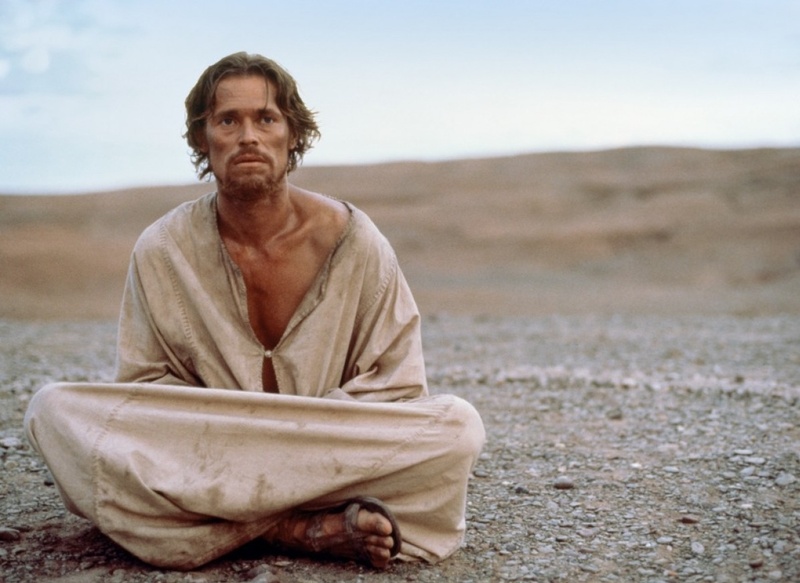 Remember when evangelicals condemned Martin Scorsese’s movie The Last Temptation of Christ? I remember a huge pamphlet I received from James Dobson in which I learned all of the crimes against God that the movie contained… it was remarkably detailed. And, when I decided to check its accuracy against the film itself, it turns out that, while the film is far from perfect, most of the “offensive details” either didn’t exist or where entirely misunderstood. The scenes that drew their most wrathful objections were actually scenes in which the devil shows Jesus a life-story alternative to dying on the Cross. 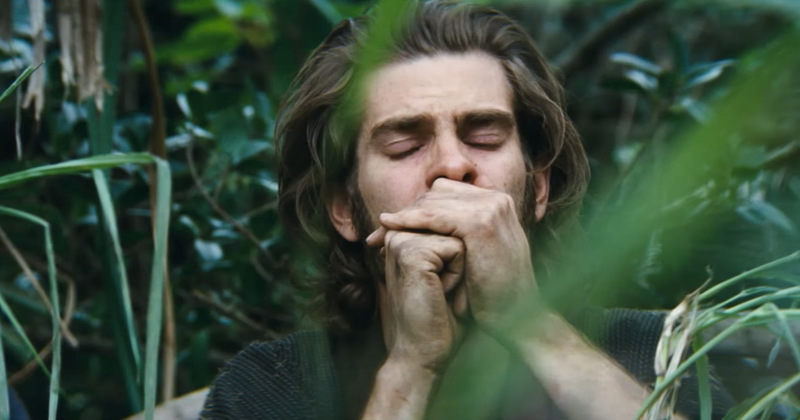 The devil promises him the comforts of what looks like a successful human life — a path that would lead him away from risk, hardship, suffering, and sacrifice. Many rightly cringed at the sight of the son of God getting down off the cross, sleeping with a prostitute who has a crush on him, and living happily ever after. But you know how that movie ends? Jesus sees right through that vision. He sees the hook within the bait. He sees the lie in that temptation. And he triumphantly rejects the devil’s temptations to compromise. Rather than seeking worldly influence, he chooses, instead, to suffer for the sake of the poor, the sick, the lost, the vulnerable, and the needy — to be the one who will bear the world’s worst tortures so that the suffering can see just how far he will go to remain faithful to them. That is his victory. He overcomes fear — even fear of pain and death. And God makes of him the name that is above all names. The very evangelicals who condemned The Last Temptation have now given in to the very same temptation. Rather than suffer for the sake of the Gospel’s integrity, they have embraced someone who, they believe, will deliver them from evil. They have let fear drive them to anger, and anger drive them to opportunism and compromise. They have lunged for offers of privilege, resources, and political influence from a man who seems to enjoy behaving like a devil in public. And now they are uniting to condemn those within their denominations who insist on faithfulness to Jesus’s teachings — like Russell Moore of the Southern Baptist Convention — because the truth exposes their failing. These same evangelicals condemned his recent movie The Wolf of Wall Street — a movie about a greed-driven liar, cheater, and womanizer, that exposes the shocking excesses, indulgences, and crimes that the very rich routinely commit with impunity. And who now do these evangelicals support for President? 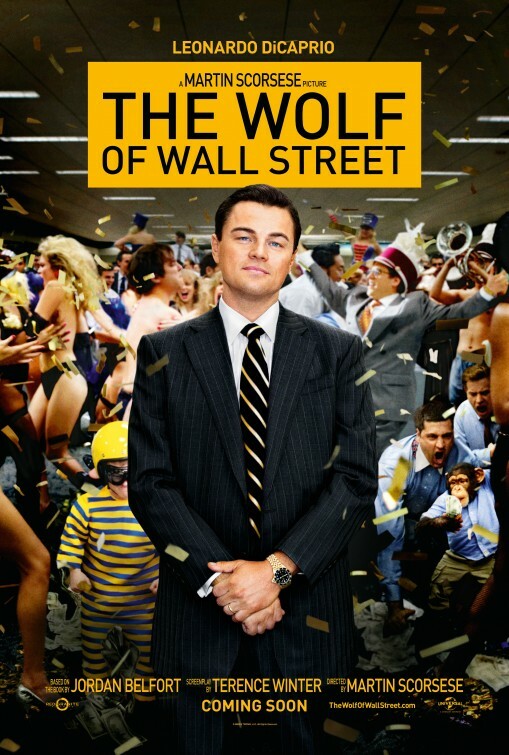 A man who behaves in public just like “the Wolf of Wall Street” behaved behind closed doors. Why? Because he promises them “perks.” That’s how this Wall Street wolf gets what he wants — he tosses treats to the sheep to win their support, because it will benefit him in his lunge for power. Who do these so-called “evangelicals” think they’re kidding with their claim to be “Pro-Life,” while their candidate of choice fans flames of racial and religious hatred that will, in time, cost so many more children of God their lives? This man is already boasting — boasting — about how his campaign promises and rallying cries were lies meant only to build up his following, and that he never really meant them. And the crowds he’s insulting? You can see them on the same screen, even as he admits these things, and they go on smiling and cheering — as he mocks them for their gullibility. I have so often been asked, by non-Christian friends, why the ongoing evils of the church don’t convince me to leave Christianity behind. It’s a good question. I have seen some of my closest friends abandon Christian faith — on one occasion, the closest friend I had in all the world — because of the hypocrisy, the judgmentalism, the self-righteousness, and the hard-heartedness of so many American evangelicals. But that’s the thing: None of the church’s compromises and failures put a dent in the actual Gospel. They only confirm its glory by placing themselves in contrast to it. And the “Good News,” properly represented, lights up a blaze of joy among the poor, the suffering, the neglected, the immigrants, the alienated, and the outcasts. It makes clear to everyone that they don’t need to proclaim that their “lives matter” — it persuades them beyond a shadow of a doubt that they do matter. It attracts them like a magnet. It doesn’t repel them, or increase their fear for their safety. 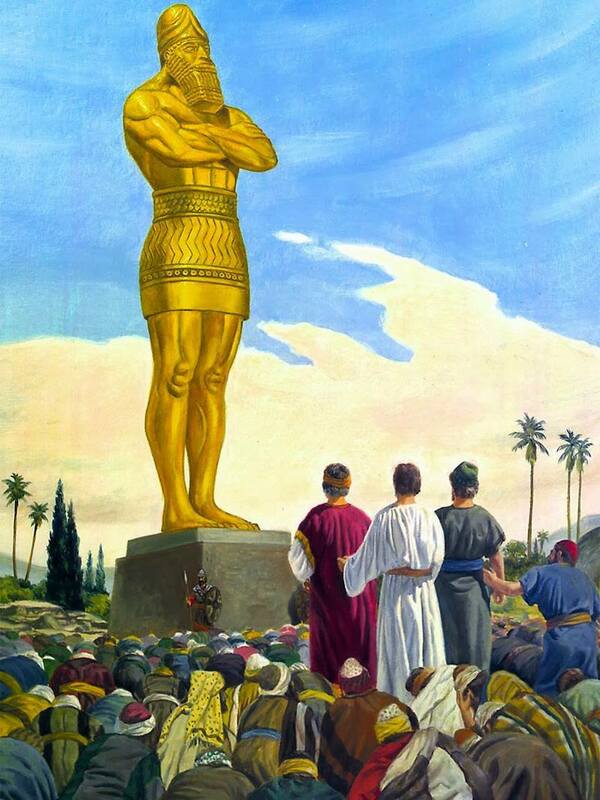 Jesus himself told us that “many will come in my name and deceive many.” He reserved his sharpest rebukes for those who dressed as representatives of God, but who didn’t like how he embraced those whose lifestyles offended them, and who would eventually sell him out for money and privileges that would help them maintain the illusion of religious authority. I may someday suffer for having published words like these. I have no illusions about that. Jesus promises that those who follow him will suffer at the hands of those who desire and obtain power and authority. Remember A Man for All Seasons? Remember how the church turned against one of its own who dared to stand alone in faithfulness to the Good News? Who do we remember and honor today? A Man for All Seasons, starring Paul Scofield. Remember The Lord of the Rings? 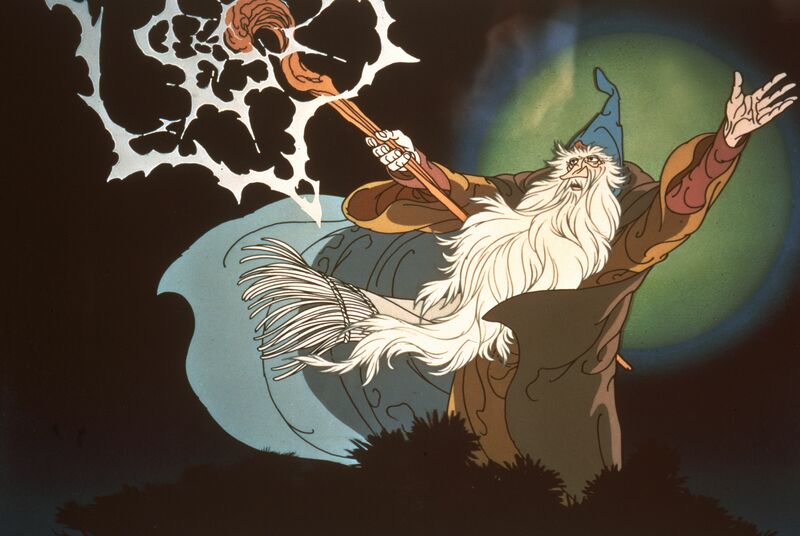 Remember how Gandalf refused to reach for the power of the Ring? We stand in awe of that character for how he rejected awe-inspiring power because he knew that it would corrupt him and make him more dangerous than anyone. It’s what distinguished both Gandalf and Galadriel from Saruman, who thought that an alignment with Sauron would help him get what he wanted. If you follow Jesus, then you find yourself too intoxicated by the joys of selfless love to consider compromising that in the pursuit of power. If you find your heart is breaking for those who cry out in protest over their mistreatment, then — even if you don’t think you’re religious — you are close to Jesus. Much closer, anyway, than those who pray loudly in his name and then make deals with liars who, day by day, break down a nation’s hard-won civil rights, align themselves with tyrants who commit war crimes (like bombing hospitals); and give hope and new ambitions to those who would commit hate crimes and advance white supremacy in America. These are the words of Donald Trump’s director of African American outreach (which means “former reality TV star,” but whatever), pledging devotion to a man who has shown open contempt for African Americans. Put on the full armor of God, believers. Because days of testing are upon us, and they will only intensify. The full armor of God isn’t military armor. It isn’t political influence. It isn’t Braveheart‘s war paint, his bloodthirsty vengefulness, or his “righteous” anger. and with your feet fitted with the readiness that comes from the gospel of peace. In addition to all this, take up the shield of faith, with which you can extinguish all the flaming arrows of the evil one. Aha! We’re to take up a sword, right? God wants us to strike! …which is the word of God. Oh. Right. What is the Word? It’s the Gospel. It’s Christ himself, who tells Peter to put away his knife, who heals the wounds of his enemies, and who then opens his arms to all of the punishment that a fearful world can throw at him. That is our sword. Unconditional love. And then what does Jesus ask us to do, once we’ve suited up? “Forgive us our trespasses as we forgive those who trespass against us. By the way, there’s a new Martin Scorsese movie opening this week. It’s going to cause controversy in the church. It’s about what happens when believers speak truth to power. And it isn’t pretty.